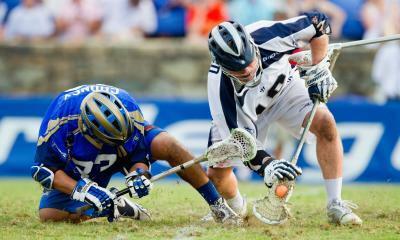 When you're talking faceoffs, splitting hairs could be the difference between a win and a loss. 5) Proton Power/Super Power - Great head for offense, extremely light and has a very pinch-able throat that grabs the ball extremely well. 8/10 flexibility. A bit too flexible for my taste. 4) Blade Pro/Blade Pro x6 - Designed for faceoffs with the perfect curve to the profile. Strong near the throat where you need it but flexible near the top for some snap on passes. 6/10 flexibility. a bit too wide at the throat. 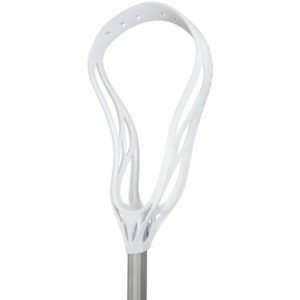 3) Warrior Razor X - Great flexibility and throat width for faceoffs. Easy to pinch and pop. This head is easy to bend back into shape after it gets warped out. Only problem is is the face opens and flares out too low on the head. 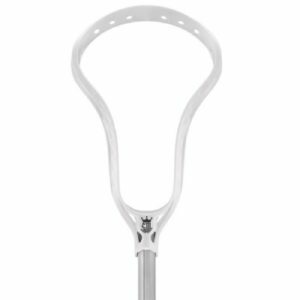 2) Evo x / Evo x6 - great head for offense and is easy to string. The perfect flexibility for the average fogo. It will hold its shape well but if pressure is applied, it will bend a few inches. Just enough to grab the ball well. I got many seasons of life out of the evo heads as a faceoff middie. 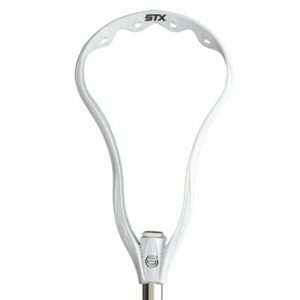 1) Clutch / Clutch X / Clutch X6 / Clutch Elite: One of the best all around offensive heads to use for face-offs. The Clutch series of heads is a perfect 7/10 flexibility with a strong throat that will not fold. The flat scoop makes ground balls easier to scoop. The best thing about these heads is the shape of the face. The throat stays tight for ⅔ of the way up the head. This allows for a large area to pinch the ball. Warning: The Clutch Superlight heads are a bad choice for faceoff guys. The Cored walls will not be able to withstand the abuse. In the end, hand speed will always beat a player with a better stick, but if you’re in the market for a faceoff head, you can't go wrong with any of these above. 2019 STX In-Store Events At Universal Lacrosse! ECD To Release New LE Rebel heads With Graphene - A New Futuristic Material.